Patient Speculation: How Can I Make Money Gambling? How Can I Make Money Gambling? It sounds obvious but it's true. To find an edge betting you need to know your niche. It isn't about being the best gambler on earth. The key is to be better than most. It is very much the same in every field of expertise. As the saying goes: Jack of all trades and master of none. 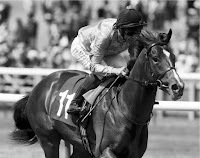 I specialise within two-year-old horse racing because there simply isn't enough time to master all other age groups. Working from your own perspective reveals many opportunities to take advantage of layers. Also, let's consider your advantage over a bookmaker - you don't have to bet on every race. That selective nature is worth its weight in gold. In addition, you don't need to bet every day. Some people don't like to let the grass grow under their feet or wallet but if you could find 20 great bets every year and make a profit plus, hopefully, lots of free time to enjoy it isn't a bad life. Time is the most precious commodity of all. Use it wisely. Your expertise must be skill based. Look through the racing results. What do you see? That the favourites don't win every race. That point in itself should bring joy to your heart and add a few zeros to your bank account. It is one reason why I would always suggest gamblers bet level stakes because it is often the case when backing an outsider people reduce their stake. These bets are often the making of a great season. The discipline of betting, its foundation knowledge, practices and philosophy are as crucial, if not more important, than the selection itself. It sounds crazy but the better you hone your skills the more you realise this point is true. Bookmakers prices vary - take the best odds, offers, opportunities. If you bet big priced selections you are wise to bet on the exchanges. When a horse is chalked up at 25/1 it is likely to be 50/1 on the machines. Double the price is the same as having your mate double your bet just for fun. Over a year, this difference can equate to a substantial amount of money. In addition, it gives you the opportunity to hedge your bet if seriously backed. Why would you keep a bet if you took 5/1 and just before the off it is 6/4? Your strength as a gambler, investor (name it what you like) is being selective. You don't need to push too hard because you will pressure yourself either with the workload or just crack under stress. Don't look for bets. The best stand out from the crowd. If your speciality is betting odds-on shots then you know your stuff. I wouldn't ever say this or that bet type is wrong. Why? Because just because I don't know something it doesn't mean someone else doesn't. However, if you are tempted to bet on an odds-on shot just because it is a short price, then I would suggest you count to ten. In many respects being successful betting at prohibitive odds is as difficult as betting on huge priced outsiders. All is rosy in the garden until you hit a string of losers. It may get to the point where you cannot claw those losses back and get back into the black. So you love football. Horse racing. Tennis. You only have to look at sports betting to realise there are umpteen markets you can dip your toe or become an expert. The only negative for an obscure sport is that you may not have much liquidity or bookmakers may shy away from your wagers if you prove you know more than them. I have seen a few people betting on weather, of all things, and I'm not just talking about a white Christmas. Within a given sport there are numerous division or categories. Let's say you know an individual football player better than just about anyone on earth. How can you use that information to win? I have spent a lot of time unearthing the best unraced two-year-old colts and fillies in training. Think what that information can mean when betting. 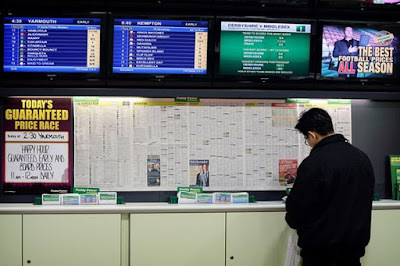 I'm not saying I'm the only person who knows that information but I know a million times more than the average punter who may well be laying a horse on the exchange. My brother won £4,000 for a £20 bet when realising a small horse trainer had a wonder horse. The layers just couldn't get their heads around the fact a small trainer could have a horse that could even win let alone be such a talent it went on to run in the 1000 Guineas. With experience, you will be in tune with your niche and the betting. Experience helps answer so many questions. Take your time to appreciate that to be a successful gambler (investor) it is a long road. You don't wake up one morning to find you are a professional gambler. Relish the challenge but be patient. You often hear die-hard football supporters following their team and their heart by lumping on when everyone is looking on bemused. If you have to bet with your heart, bet for fun. Unless you are very disciplined don't bet for fun. Why? Because it is a slippery slope which may lead to betting without discipline. It's not a good idea. Betting with emotions is illogical. Emotions are dangerous at the best of times and mixed with gambling and too much money a distressing road to take. How many people have you seen chasing losses? How many times have you seen them win? Betting is about knowing more not shouting the loudest because you have an anger inside. Labels: betting, Gambling for a living, How can I make money gambling?